Every Rembrandt exhibition is eagerly anticipated but this major new show, focused on the final years of his life and hosted by London’s National Gallery and Amsterdam’s Rijksmuseum, is the biggest in many years. 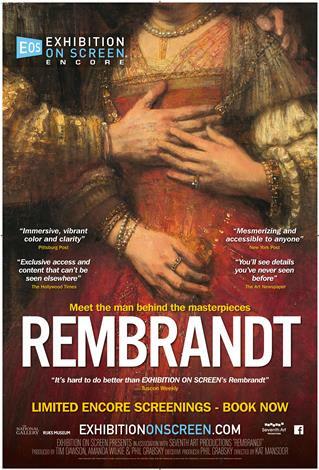 Given exclusive & privileged access by both galleries, the film documents this extraordinary show and interweaves Rembrandt’s life story with the behind the scenes preparations at both institutions. For many, this is the greatest artist that ever lived – this film will take a close look at the man behind such acclaim.